In their grief and disbelief over the outcome of the American presidential election, many people have turned to reading to try to make sense of this bizarre new era. Donald Trump’s unprecedented rise to power has sparked a renewed interest in dystopian novels, especially George Orwell’s 1984, which depicts a totalitarian futuristic society where all facts are “alternative” and government propaganda dominates. Other dystopian novels, including Sinclair Lewis’s It Can’t Happen Here, John Steinbeck’s The Winter of Our Discontent, and Margaret Atwood’s The Handmaid’s Tale, have also enjoyed a resurgence. In my quest for post-election consolation and inspiration, however, I found myself turning not to dystopian novels or escapist fantasies or even engrossing mysteries, but to essays. These brief writings of thoughtful prose have given me the reassurance that thousands of others share my views and the inspiration to become more involved in the resistance movement as our most fundamental freedoms come under siege. 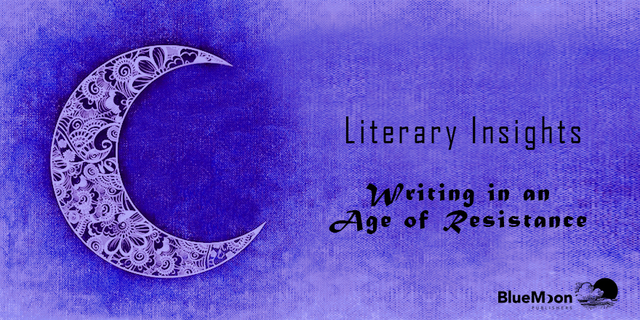 In this blog I discuss two essays written by women who are using writing as a mode of resistance as well as the genre itself. In the Writers’ Notes section, I offer insights into two qualities that make essays such as these great—depth and risk. It may feel rude, unprofessional and risky to break the habit of respecting our government; we never wanted to be enemies of the state. But when that animosity mounts against us, everything we do becomes political: speaking up or not speaking up. Either one will have difficult consequences. That’s the choice we get. When the weight of our government leans too heavy in one direction, it will be up to us to shove the weight back the other way. When that weight deepens its exclusion of some of the most silenced populations and communities in our country, we will need to double, triple our efforts and summon our collective strength in order to re-balance the scales. Now it is up to an entire nation to learn the art of resilience from the most marginalized among us, writes Der Vang, “to keep working on enduring harder, at balancing better,” lest our voices as well as theirs grow silent. In times of political and ideological angst, when we need the company of short but thoughtful bursts of insights and inspiration, when we need a shared intimacy with great writers who both challenge and validate our thoughts, essays are the perfect companion. Outstanding essays such as those written by Barbara Kingsolver and Mai Der Vang have many attributes in common, among them depth and risk. Risk is implicit from the minute you decide to write an “essay” rather than something casual, fragmentary, impromptu. The sheer act of carefully crafting a story raises the stakes. And the rigors of the craft—the demands of form, the solitary sustained engagement with twenty-six letters and some punctuation marks—have the terrible power to reveal where you’ve been lying to yourself and what you haven’t properly thought through. The rigors of craft give you substance. And then, instead of sharing with a closed circle of friends or with a community safely known to be like-minded, you submit the finished written thing to an audience of readers who may or may not be sympathetic. But the reward, if you’re lucky enough to get it, is connection with a grateful stranger. Have you read an essay that had a great impact on you?